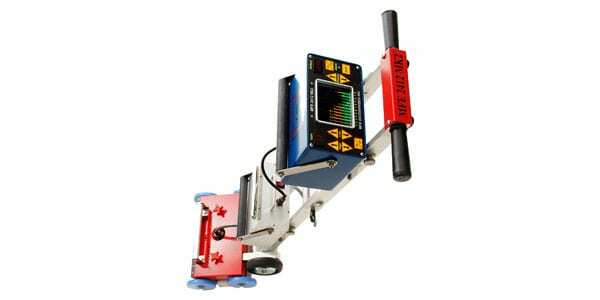 The MFE 2412 Mark II tank floor scanner uses Magnetic Flux Leakage (MFL) technology to accurately detect defects in the inspection surface. 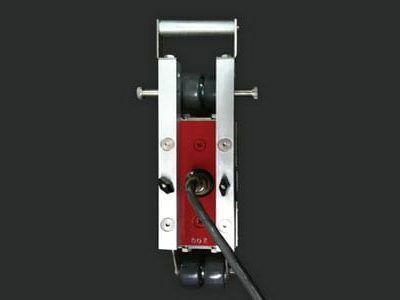 The Mark II tank floor scanner features improvements in all areas of operation and incorporates many user-friendly features from previous models. Our re-engineered design drastically reduces the amount of effort needed to operate the scanner, making this model more user-friendly. 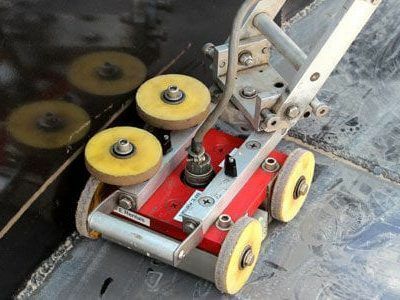 By providing the Mark II tank floor scanner with double the magnetic material, users can expect a significant increase in the power of the Magnetic Bridge, allowing users to inspect through thicker plates coatings. In darker settings, the LED strip provides convenient lighting in front of the storage tank scanner. 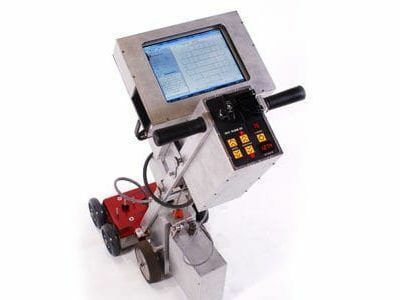 With a comfortable display, easy access to control functions, improved results through better signal to noise ratio, and over 12 hours of battery life, the MFE 2412 Mark II tank floor scanner is the ideal solution for your MFL inspection needs.